In 1803 two ministers came up Yonge Street to prepare the way for Methodism. They were Rev. Nathan Bangs and Presiding Elder Jewel. In 1805 Yonge street circuit was reported as consisting of what is now the Townships of East and West York, Etobicoke, Markham, Vaughan, King, Whitchurch, and the Gwillimburys. As the population increased the Yonge Street circuit was divided many times. 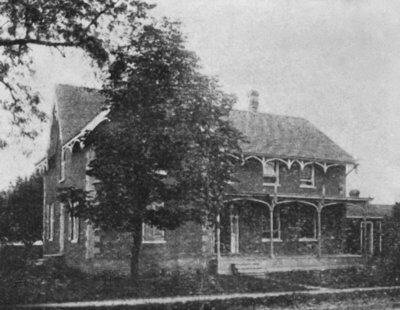 In 1873 the name North Yonge Street was given, consisting of Richmond Hill, Maple, Victoria Square, Bethel, Patterson and Headford. In 1884 Maple and Bethel were transferred. 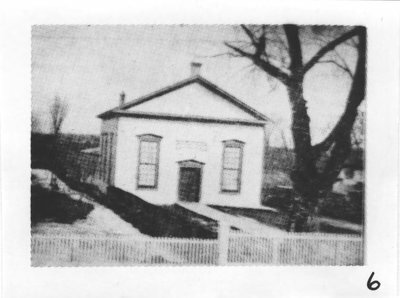 The Methodists first worshipped in the first Public School building built of hewn logs in 1810. In 1821, the Presbyterian Church was built, and the Methodists held their services there in the afternoons. On January 1846 the land where now stands Charlton's Hardware was deeded to the trustees and a church began. Mr. Charles Harris was the architect and Mr. Uriel Chamberlain the builder. The church was used for many years before it was completely finished and dedicated in 1860 on July 1st. On Sunday December 21, 1879 it was burned to the ground. Ironically the text of the last sermon was, “Behold how great a matter a little fire kindleth.” Trustees of this church were: Robert Campbell, Robert Hewison, Wm. Wright, Abraham Law, Amos Wright and Benjamin Jones. The old church was sacred to the hearts of many because of tender memories. Within its walls many had been baptized, and others joined in Holy wedlock. Its pulpit had been filled with many of the most eminent ministers in the Canadian Methodist Conference, the Ryersons-Egerton, William and John, Jeffers, Punshon, Wilkinson, Bredin, Wood, Smith, Taylor, Spence Potts, Carrol and Corson.